HTC and Apple have resolved to shake hands on their global legal disputes and agree to a wide-ranging patent licensing deal. In a surprise announcement, the warring smartphone giants issued a join press release confirming that all current lawsuits would be dropped under the ten year accord. The agreement, the companies said, would cover current and future patents held by both companies. HTC CEO Peter Chou said: "HTC is pleased to have resolved its dispute with Apple, so HTC can focus on innovation instead of litigation." 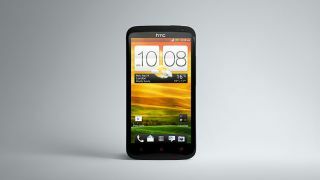 His counterpart in Cupertino, Apple CEO Tim Cook added: "We are glad to have reached a settlement with HTC. We will continue to stay laser focused on product innovation." The announcement comes just a couple of months after HTC said no settlement with Apple was in sight. The end of legal proceedings between Apple and HTC could herald a new dawn of co-operation between tech companies when it comes to intellectual property. The headlines in 2012 has been largely dominated by the bloody patent wars, so an end to the courtroom drama would surely be welcomed by everyone. Except the lawyers, obviously. The terms of the settlement will remain private but a HTC representative told The Verge that he doesn't expect the deal to negatively affect the company's bottom line.